Do you want to heal your life, reduce stress, and experience more joy, peace, and harmony? Or perhaps you want to increase your creativity, intuition, or self-expression? In fact, art has been used throughout human history to express the depths of human experience because our minds understand the abstract or symbols at a deeper level than language. In other words, we are all natural artist that can benefit from techniques and process in art therapy to transform our life. It is also a fun process that can bring joy and happiness to your life. Explore modern day artistic approaches for goal setting and manifesting your dreams, such as vision boards / dream boards. Use a variety of other art therapy processes, including journaling, guided meditation, and art therapy for stress reduction. This course is designed for adults, but is transformational for any age. ANYONE can use art therapy exercises—NO ARTISTIC ABILITY IS REQUIRED! And, all art therapy activities taught in this course use simple, inexpensive materials that you can easily grab from around your house and get started using this powerful tools to create more joy, peace, and harmony in your life right now! This course is taught by three experts in the fields of life coaching, personal development, psychology and psychoanalysis. Our varied experience and perspectives add depth and variety to the program. 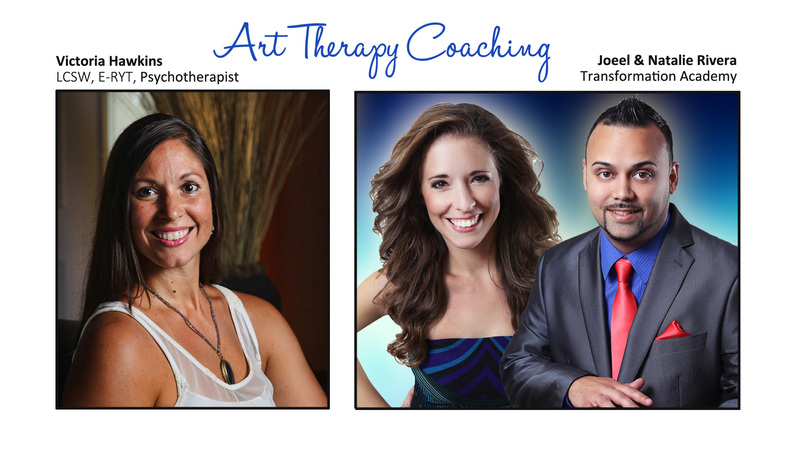 Instructors Joeel & Natalie Rivera have over a decade in the life coaching field. The have a background in social services, psychology, education and as entrepreneurs. Joeel has a Masters’ in Counseling and is completing his dissertation for his Ph.D. in Psychology, with a focus on happiness. They have over 60,000 students from 187 countries. Victoria Hawkins is a Licensed Clinical Social Worker, psychotherapist, artist, yoga and dance instructor, and workshop facilitator. She has been working with students and clients of all ages for over 20 years; incorporating art, creative movement, wisdom teachings, creative writing, psychotherapy and mindfulness meditation.